New research from market research organisation Mintel has found that the share of own-label food products launched in the UK carrying a ‘better-for-you’ claim reached a five-year high in 2014. Mintel found that almost two thirds (63 per cent) of UK consumers considered the healthiness of products when choosing food for use at home, with this being considered more important than low cost (59 per cent). Furthermore, the healthiness of food was the second most important consideration for shoppers, with taste being considered important for 89 per cent of consumers. Showing that 2014 was the year the healthy claim became king, Mintel’s researching found 6.6 per cent of own-label products launched in 2014 carried a ‘low’, ‘no’, or ‘reduced fat’ claim, up from 5.9 per cent in 2010. Slimming claims also saw growth, with their share rising from 1.3 per cent to 4 per cent in the same time period. The proportion of own-label products featuring a ‘low’, ‘no’, or ‘reduced calorie’ claim rose from 1 per cent in 2010 to 1.8 per cent in 2014. “Claims which are most commonly associated with weight management such as low, no or reduced fat, slimming, calorie and sugar, became more prevalent in own-label food launches in 2014,” said Emma Clifford, Senior Food Analyst at Mintel. “In fact, the share that these four claims held of new own-label products entering the food market reached a five-year high in 2014,” she said. “This uptick in better-for-you new product development activity is likely to stem from supermarkets’ pledges to encourage healthier eating under the government’s Responsibility Deal, as well as a desire to boost their reputations as socially responsible,” Ms Clifford said. Furthermore, Mintel’s research showed that there was appetite from consumers for particular claims. Three in five (59 per cent) UK consumers said that when purchasing food to use at home they looked for items that contribute to their “5-a-day” fruit and vegetable intake, whilst over half (53 per cent) looked for items containing low levels of saturated fat and 51 per cent looked for low sugar content. Additionally, 45 per cent of Brits looked to buy items with a low calorie content and 43 per cent look for products high in protein. “These results illustrate the widespread appeal of these health claims and their influence over shoppers’ choice of product,” Ms Clifford said. 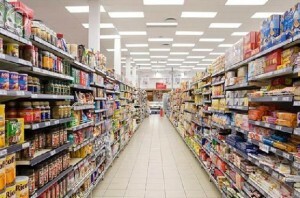 However, Ms Clifford said that despite retailers focusing more attention on these claims in their new product development in 2014, there still appeared to be a “significant gap between the high demand for products which are low in fat, sugar and calories and the level of new product development activity”. In particular, despite 51 per cent of UK consumers looking for products with a low sugar content, just 1.6 per cent of own-brand food launches in 2014 featured a low, no or reduced sugar claim. Indeed, branded products seem to hold the clear lead in this respect with 6.6 per cent of branded launches featuring this claim in 2014, up from 6 per cent in 2013. This comes off the back of Mintel research recently released which found that 46 per cent of Brits have taken at least once course of action to monitor or reduce their sugar intake in the last year. “The low level of activity from own-label is despite the dangers attached to consuming too much sugar rarely being out of the media spotlight in 2014,” Ms Clifford said. “The high-profile debate put this issue firmly on people’s radars and the time is ripe for innovation centering on low, no, or reduced sugar,” she said. Aldi is preparing to sell its goods online in China using Australian suppliers.